This article was written on 25 Apr 2012, and is filled under art engagement, Conferences, experimental projects, Museum projects, social practice. 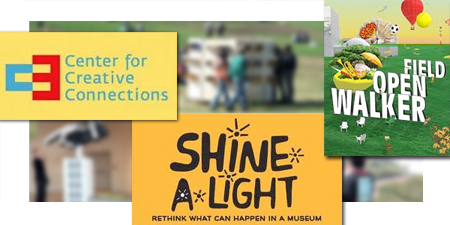 "center for creative connections" "walker open field" "shine a light"
A large part of my work inside and outside of formal museums is playing with the notion of what makes an exhibit or a museum– often through socially engaging projects. It seemed to me that there are a lot of interesting efforts in this area from small to large, and it’s a good time to bring some of the people leading this work together. 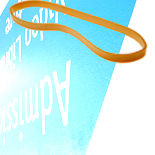 We’ll be at AAM next week in hopes of gathering more like-minded practitioners. Artists and museums are developing projects that transcend traditional categorizations by blending artistic, public programming, curatorial and educational frameworks. We will explore the practice and how it impacts creativity for museums. We’re also going to introduce an Elastic Manifesto for this type of work at the session and share a short bibliography we’ve put together. I’ll be highlighting some of the work over the next few days here, and we’ll post our slides online.